When choosing a lock for your business, you want to get it right the first time. Security is very important, especially if you have expensive goods at your location. Even if you have a service business and carry very little to no inventory, the equipment, tools, and other needed items for operating a business can be costly. The more you protect them, the safer you and your business will be when it comes to the risk of financial harm. In order to have the best protection, many commercial buildings have mortise locks. These are not seen as much in residential applications, but they do provide strong security wherever they are used, and can be placed on homes as well as businesses. A mortise lock requires that a type of pocket (which is called the mortise) must be cut into the furniture or door where the lock is being fitted. These kinds of locks were commonly used in the United States years ago, and some older buildings may still have them. Throughout Europe, they are still very popular and used on older and newer buildings alike. Most locks manufactured and used in the US today are bored cylindrical locks, which do not require that cut-out pocket. However, mortise locks and half mortise locks are making a comeback, commonly on commercial buildings where strength and durability may be more significant than they would be in residential applications. The mortise lock is designed to be both a doorknob and a deadbolt, and that dual purpose can be what sways a company to choose one of these locks instead of the more common cylindrical locks for their commercial application. Cylindrical locks work well in residential applications, and they are easy to install, but they do not have the strength and durability that mortise locks provide. That is why many people feel that mortise locks are by far the best choice for a business, where the strength of the door and the lock it uses can make a significant difference in the safety and security of the business and its inventory. There is a distinct difference between full mortise and half mortise locks. Knowing which one will be best for a business application is important. The type of door a business has and the look they want to have also matters. The need to cut into the door is different with the mortise lock than it is with the half mortise lock. A full mortise lock fits completely inside the door, in the pocket, and there is more cutting required to get that lock fitted the right way. However, these kinds of locks may be more durable because they are completely encased within the door, as opposed to being partially or fully exposed on either side. A half mortise lock fits the inside of the door only. There is a notch into which part of the lock is fitted, but the back will be exposed. That can mean a nicer or fancier look on the inside of the door, allowing customers to see that lock and the design and quality it provides. It can also make the door less durable than a full mortise lock does, because the lock is not completely encased within the door. Still, a half mortise lock is very strong, and a much better choice than a bored cylindrical lock will be for a business application. The proper installation of the lock is vital to ensuring that it is as strong as possible, and that it works well every time it is needed. Some people may feel comfortable installing a more standard type of lock, but the cutting required with a mortise or half mortise lock makes it a more difficult installation. The vast majority of businesses that need mortise locks installed will choose a locksmith who is experienced with those types of locks, to make sure the installation is done correctly and the lock is solidly placed within the door. Lining everything up and ensuring a proper fit can take some time, and a locksmith will have the experience needed to handle everything correctly the first time, so the lock works as intended right from the beginning. A typical mortise lock includes the actual lock body, which is the part that is placed in the door pocket, along with the trim that goes on the door where the handle and lever set is attached. This trim piece can be purchased in many different designs, in order to allow a business to choose something that is unique to the look they want to show to customers. A strike plate is also needed, along with the keyed cylinder that actually operates the locking and unlocking of the door itself. A half mortise lock contains essentially the same parts, even though it is placed only in the notch instead of a completely enclosed door pocket. We provide commercial locksmith and home security services to Philadelphia and the surrounding communities, and have been proudly doing that since 1973. 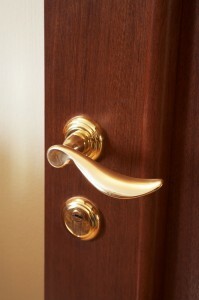 Our wide variety of services include electronic access control and security lock installation, custom master key design, 24-hour locksmith services, business security lock repair and installation, and more We can provide you with a mortise or half mortise lock that will look great, work right, and make your business feel safe and secure. Get in touch today by calling (610) 644-5334 or filling out our online estimate request form. Let us help you find the right lock for your needs!